I received a free advanced copy to review. While romance isn't my top genre, I really enjoy historical books. For a work of fiction, this was well-researched, complete with historical notes, and a timeline of the author's life. The story itself was very compelling and the history added spice. The book revolves around the three people, Walter Scott and Mina Stuart in the fascinating eighteenth-century Scotland, and Charlotte Carpenter who lives a quiet life with her guardian in England. The fates of these three characters are played out, and the story is made all the more interesting because it's based on real people and situations. The book spends a lot of focus on "first love" versus "best love" which makes a good point, especially for a romance. Walter is consumed by a fiery passion for Mina, but her regard doesn't burn as brightly. He learns some good lessons, and comparatively his relationship with Charlotte is much more realistic. The book also does a great job of showing, historically, how limited women's choice could be, and the real struggles Scotland faced to forge an independent identity. Dialogue, setting, and characters were all true to the period and resonated with truth. I had a hard time distinguishing between what was pure speculation and what was fact. The ending was a little quick but worked. I was really impressed when I read the historical notes with how dedicated Sir Walter Scott was to family and home, and loved getting to know him and Scotland a little better. 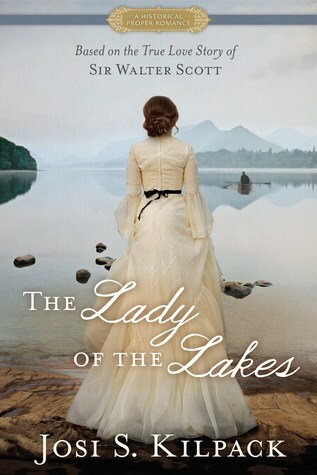 Great read for lovers of both romance and historical fiction.